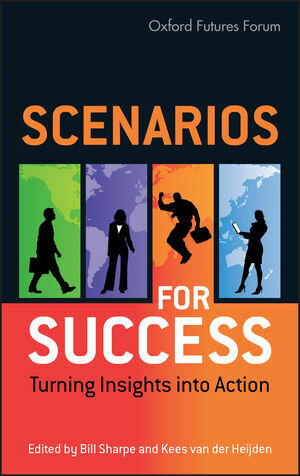 Properly researched and intelligently deployed, scenario planning is today’s most powerful tool for understanding and preparing for an uncertain future. Yet it remains a niche approach, poorly understood by leaders at large. To bring it into the strategy mainstream, leaders need advice on how to turn concepts (scenarios) into actions (strategy). Bill Sharpe is an independent researcher in science, technology and society. He was a research director at Hewlett Packard Laboratories where he led research into everyday applications of digital technology. He introduced scenario methods to HP for long-range research and business management, and pioneered the use of scenario methods for supporting business innovation. In 1999 he co-founded an innovation and consulting company, The Appliance Studio, and now specializes in long range technology studies for business strategy and public policy foresight. He has worked extensively for the UK government’s Foresight Programme in areas such as Cognitive Systems, Cybertrust, and Intelligent Infrastructure. With a background in computing and psychology, he is particularly interested in drawing on leading edge research in cognition and systems thinking to find new ways of tackling complex problems. He works independently and as an associate with several organizations in the futures field.